Short and long term hire of screens and AV equipment for retail. London Audio Visual provide a full service solution for retail, we offer digital signage, LED Displays for retail window and in store, video wall solutions, Interactive touch screens and more. Short and long term hire of screens and AV equipment for retail. 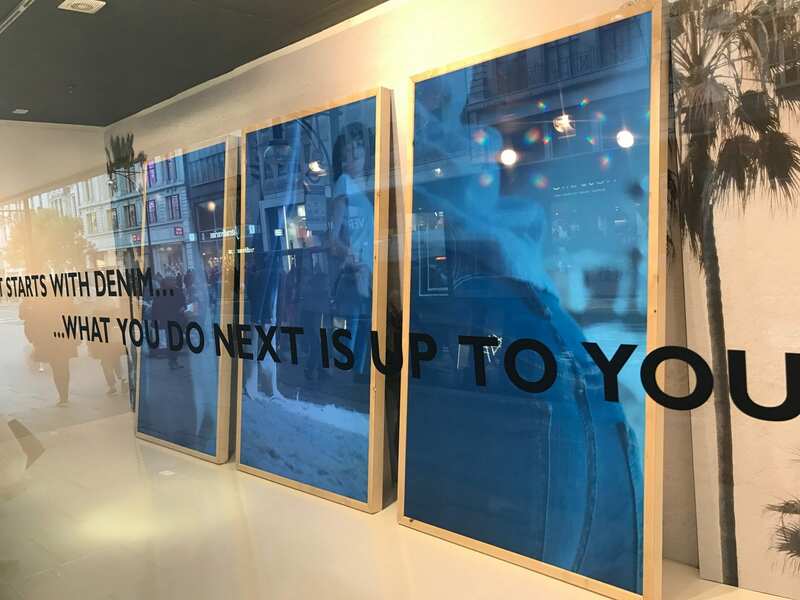 London Audio Visual are experienced in digital signage, LED displays for retail window displays as well as in store video wall solutions and interactive touch screens. Digital Window displays are an extremely important feature for any retail business. We utilise high bright screens from DynaScan, these screens are extremely bright and designed specifically for use in varying environments, designed to cope with high temperatures from direct bright sunlight, dust and 24/7 use. The DynaScan are industry leaders in using the latest technology resulting in a cutting edge display for your retail outlet. We will work alongside your creative team to ensure that the screens fit in with your vision. Our technicians will always ensure that the screens are all colour calibrated to ensure that your store images appear lifelike and vibrant. The DynaScan screens range in different brightness levels, from 700 nits – 7000 nits and sizes from 32″-75″. We do also offer a range of professional screens from other quality manufacturers such as, Samsung, NEC & LG. Contact our team today to discuss your ideas and we would be more than happy to help determine which screen will provide the idea solution for your retail display or outlet.